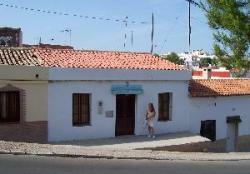 Casa Buena, now FOR SALE, is a typical traditional Spanish casita (single storey house) in the old part of Oliva town, with plenty of parking and plenty of views. 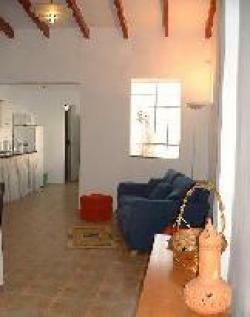 Fully furnished for up to six people, and ready for you to enjoy. Suitable for young or old (although small children should take care with the top terrace, we can block off the stairs to this), and pets by permission. There are 3 bedrooms, dining sitting room, a fully equipped kitchen, a walkin fully tiled shower room and a seperate toilet and wash area (avoid those morning queus). To the rear is an enclosed patio, 26ft/8m long, with plenty of space for an inflatable pool (20 inch deep pool which we can lend you), plus table, chairs, bbq, sunshade etc. Up the stairs is a terrace with views across the roof higgledy piggledy roof tops. Of note: It is all on one level with no steps (other than to the roof terrace), and the double bed is 2m long (the norm in Spain is 1.9m or 1.95m). 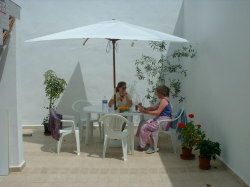 Ideal for self-catering or for trying some of that wonderful Spanish food in the many local bars and restaurents. 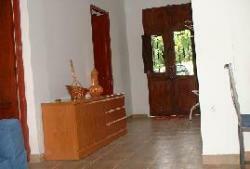 Just 2kms inland from the beautiful sandy beaches of Oliva Playa. You can walk for miles away from the hordes amongst the dunes, go swimming, sailing and windsurfing, or turn inland for the orange groves and hills or to the natural areas of Pego marshes. Balance to be paid - 4 to arrival.